Secret Base Design released MIDI Camera, an app that lets you take photos and videos using MIDI controllers. This includes taking manually spaced time lapse photos, which are triggered without jostling the phone. MIDI has been used to control synthesizers and sequencers for years. It's easy to use, and there are hundreds of inexpensive controllers. With MIDI Camera, Secret Base Design brings MIDI to iOS photography. 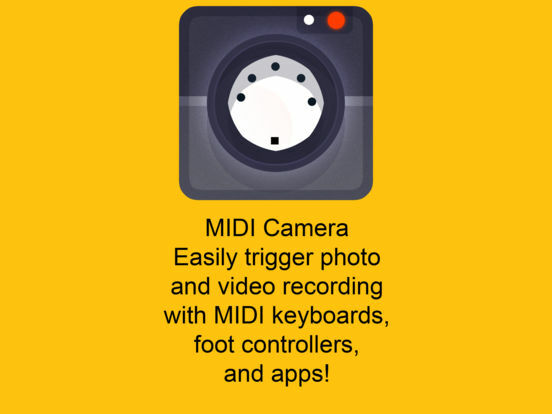 Use a MIDI controller, foot pedal, or an app, to take photographs or record video.